You are here: Home / Tips, Tricks, and HVAC Expertise Blog / Help! I Need a New Air Conditioner! 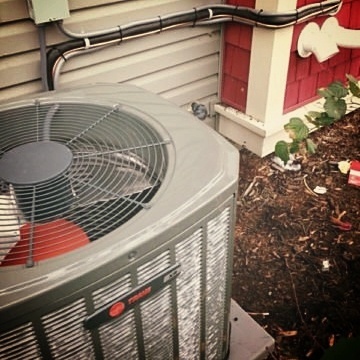 It can be hard to determine if a new air conditioner is truly necessary, but now is definitely the time to figure it out before the heat becomes too unbearable. The best way to truly be prepared for a hot summer is to have your home’s temperature on lockdown with a new air conditioner installation. It’s old. Air conditioning units that are more than 10 years old can not only lead to costly repairs, but are probably also putting a big dent in your energy bill. You’ve had to fix it before. Chances are, that wasn’t the last time it will need to be fixed, and you could end up spending more on repairs than you would on a new unit. You’re hearing strange noises. Air conditioning units are not supposed to make strange noises, so if you are hearing this, something is probably wrong. The air in your home doesn’t feel right anymore. If you are experiencing more humidity in your home, or a larger dust build-up, it could be the result of an insufficient air conditioner. If you’ve taken a look at the warning signs and decided it’s time for a new air conditioner, you may now be wondering where to start. You will need to assess your situation and determine which unit is right for you. This includes considering factors such as the type of home you live in, how often you’ll be using the unit, and how much power you’d like it to have. The cost of a new air conditioner depends on the specific unit that you are thinking about installing. There are a variety of options available. For example, you may choose from a variety of heating and air conditioning systems that will make it easier to go between seasons. Or, you could opt for a central air installation instead of a single unit. If you have questions about installing a new air conditioning system in your home, the best thing you can do is talk to an expert who can fill you in on the process. Air conditioning experts work with these units every day and can tell you exactly which one will provide the best solution for you.